Apple is pretty much mute on the release date for the iPad Pro, but retailers in the U.S., for example Sam’s Club, MacMall and similar, have already begun with their preorders. The newest rumors claim that the 12.9-inch iPad Pro will be releasing very soon, on November 13. Previous leaks had said that the iPad Pro would be released on Nov 11. In spite of that, Cult of Mac has announced that the large screened iPad would be released on the coming Friday, that is to say, November 13. It has further said that, because Apple usually makes its brand new products available for purchase on Fridays, the iPad Pro seems all the more likely to actually be released on November 13. Despite the fact that there is no information available whether the Apple Pencil would be also made available from November 13 as well, the publication further added that it is likely that the Cupertino company would also make the stylus available alongside the iPad Pro. According to Phone Arena an expert on all things Apple, companies avoid releasing its products on November 11 in the U.S. as it happens to be the Veteran’s Day in the country. Therefore, the Cupertino company is more likely to release the iPad Pro on November 13 and not November 11, as previously stated. As it was additionally stated on Sam’s Club, the iPad Pro is now currently “out of stock” but it had started with preorders of the Wi-Fi only versions of the 32 GB and 128 iPad Pro for $787 and $937. Phone Arena has reported that the retailer was not receiving preorders for the 128 GB Wi-Fi + LTE model. That is quite a decision to make, and only the coming days will tell us why such a move was made. 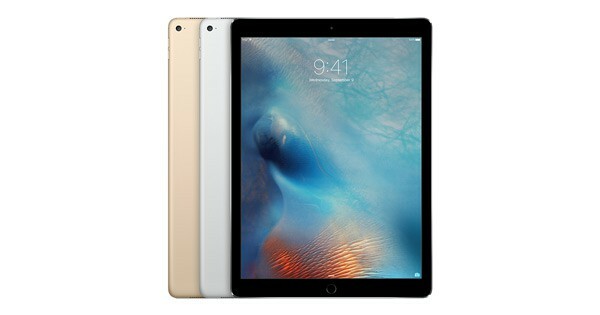 MacMall has also listed the iPad Pro with 32 GB and 128 storage size for $937 and $787. It also selling the 128 GB Wi-Fi + LTE variant for $1,067. The shipping date for the large-sized tablet is mentioned as mid-November, much to everyone’s eager anticipation. Both Sam’s Club and MacMall are offering $12 discount on the regular pricing of the iPad Pro on Apple’s website. The discount’s not much, but still appreciated. The Apple iPad Pro is listed on the official website with a respective price tag of $749 and $949 for the Wi-Fi only 32 GB and 128 GB models. The other 128 GB variant supports both Wi-Fi and LTE connections is priced at $1,079. iPad Pro itself includes the A9X chip and the Apple M9 motion co-processor. A number of features are carried over from its parent model, the iPad, such as Touch ID and the Retina Display. New features include a smart connector for a keyboard and four stereo speakers located in pairs on top and bottom of the device. However, we have to wait a couple more days to see how it all develops.